It seems incredible to most people that a woman might lose her hair. After all – isn’t that something that only happens to men? The truth is that many women suffer from hair loss and that Female Pattern Hair Loss (or FPHL for short) can be emotionally devastating in a culture where you can even tell which Disney Princess it is by the color of her hair. 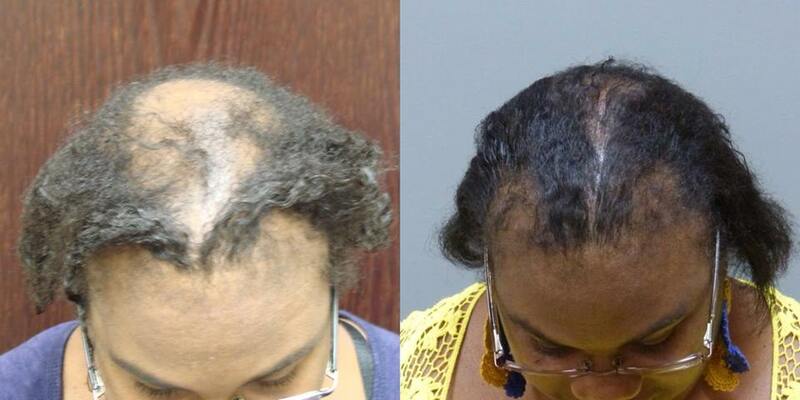 Androgenetic alopecia in a woman (sometimes termed androgenic alopecia) is the diagnosis of Female Pattern Hair loss. Most women associate this hair loss with post-menopausal changes, but it can happen at any time, even starting as early as a woman’s late teens and twenties. It typically takes the form of decreased hair mass on the top of the head but sparing the frontal hairline. Several other patterns exist, though, including thin wispy hair at the temples, side loss, vertex thinning (i.e. 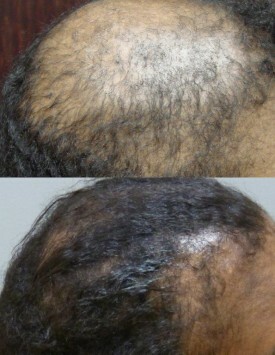 where a man’s “bald spot” would be), and diffuse loss all over the scalp. Any combination of these patterns is fair game too, with crown loss sometimes occurring along with diffuse loss for example. However, all of these different patterns exist under the rubric of androgenetic alopecia – and it often surprises people to know that “male pattern” hair loss can happen in a woman, and vice versa. Regardless of the “pattern” that manifests in an individual, it is ALL androgenetic alopecia, and it is ALL devastating to deal with. Female pattern baldness is usually diagnosed based on the appearance and pattern of hair loss and by ruling out other causes of hair loss. A skin biopsy or other procedures may be used to diagnose medical disorders that cause loss of hair. Analysis of the hair itself is not accurate for diagnosing nutritional or similar causes of hair loss, although it may reveal substances such as arsenic or lead. Female pattern baldness is of obvious cosmetic importance but does not indicate a medical disorder, it can affect self-esteem or cause anxiety. The hair loss is usually permanent.